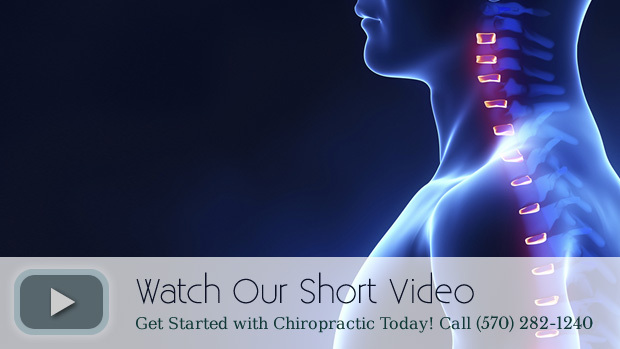 At Carbondale Chiropractic Center, we believe in making you feel at ease and well cared for. That’s why we promote a fun and friendly environment, are always striving to improve our skills and knowledge, and maintain a focus on patient education. We believe you are the best advocates for your own well-being, and we want to assist you in a lifetime pursuit of the best possible health. Our hope is to see a paradigm shift in this community, where our patients take charge of their wellness and move away from an attitude that we should just fix health problems instead of also preventing them. exemplary chiropractic care to support you in your quest for wellness. help you. You can reach us at (570) 282-1240. Serving Carbondale, Archbald, Honesdale, Clarks Summit, Mayfield and Waymart. Always feel great after coming here! Back pain is gone! Clara and I are feeling so much better than when we first walked in. No more headaches or severe back and neck pain,heck she wants to go out dancing. We know that you are the best clinic on this side of the Pecos, Thank you and never stop caring. I’d like to thank the entire Carbondale Chiropractic team for taking me in and treating me as one of their own. It’s been life changing so far! I’ve witnessed the health benefits of attending sessions regularly. This is a great option for families looking to improve their overall health. It is wonderful to know that people genuinely still care about others heath WITHOUT big pharma. My experience was great. Excited to continue with my treatment.